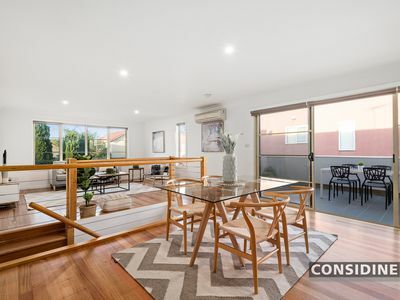 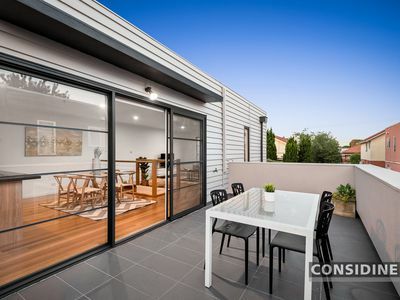 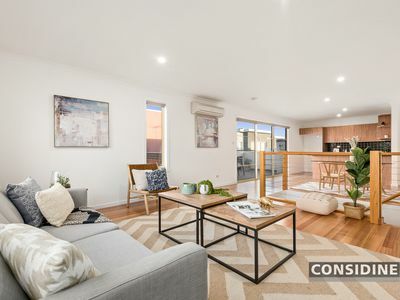 Set well back from the street in a boutique block (one of only three), this two-storey townhouse presents a terrific lifestyle/investment opportunity with its impressive design, contemporary style and unbeatable urban convenience. 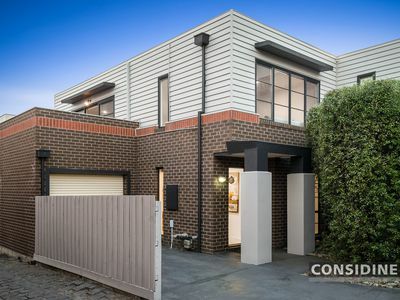 Filled with natural light, the home's classy interior comprises 2 large bedrooms (master with private courtyard), stylish central bathroom and guest powder room (2nd WC), spacious open-plan living/dining area leading out to a delightful entertainers' terrace complete with city skyline views. 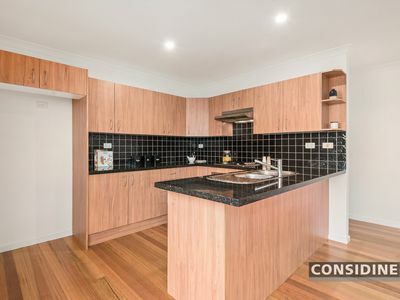 Add to this a granite-bench kitchen with stainless steel appliances, split-system heating/cooling, hardwood floors, robes in both bedrooms, European laundry, plus a remote-control garage with internal entry. 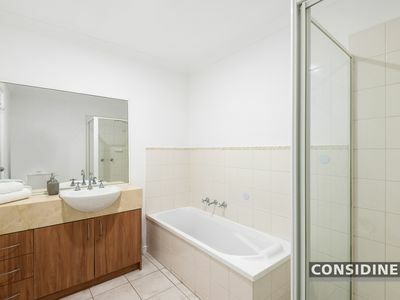 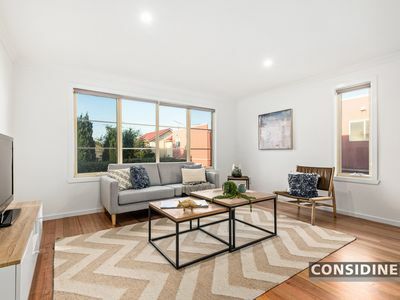 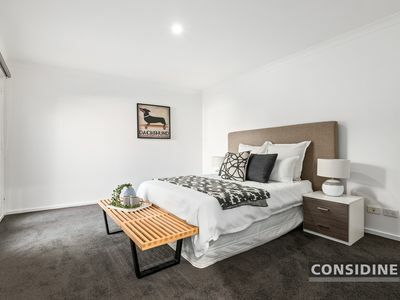 Positioned for absolute convenience, it's walking distance to Melville Road shops and trams, close to local parks and primary schools, easy access to Moreland Station and Citylink.